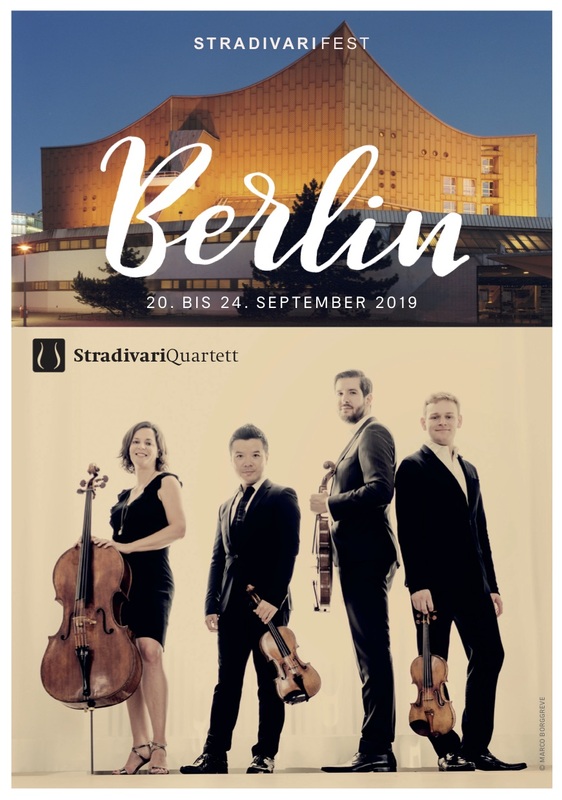 Join the StradivariQuartet in the historic capital and discover together with us some secrets and the exciting parallels to the musical history of this diverse city. In guided tours and city tours we will dig up something new and exciting. 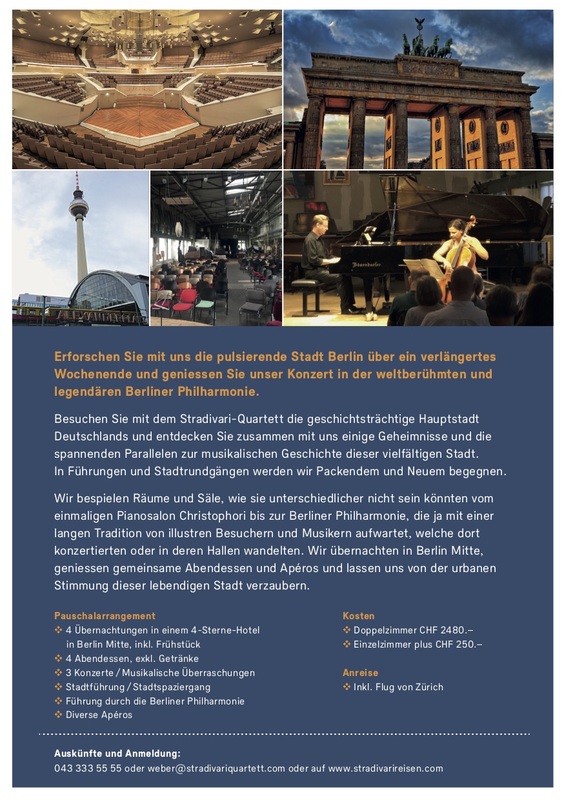 We play in rooms and halls that could not be more different, from the unique piano-salon Christophori to the Berliner Philharmonie, which has a long tradition of illustrious visitors and musicians who performed there or walked in their halls. We spend the night in Berlin Mitte, enjoy dinner and aperitifs together and let ourselves be enchanted by the urban atmosphere of this lively city.